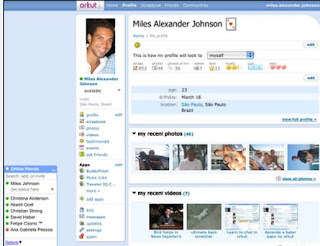 Chat Roster Lets You Find Your Online Friends In Orkut ! Orkut has launched its orkut-main-killer-makes-orkut-fast-to-load/">new built-in chat feature to stay in touch with your friends online much easier than with a lot of fun. You can now-know-the-location-of-your-orkut-friends/">come across a little green available bubble next to the name of a good friend to make an online google-set-to-release-orkut-app-for-mobile-phones/">chat on Orkut. This new feature called how-to-send-scrap-automatically-in-orkut/">Orkut Chat Roster will make you easy to connect with all of your friends who are signed in Google Talk, Gmail, iGoogle or the Google. If you want to make a chat with them how-to-send-testimonials-to-your-friends-in-orkut/">just click on their names direcly within the how-to-share-my-albums-with-selected-orkut-friends/">roster.